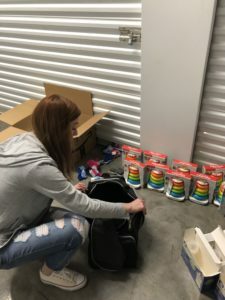 This program was initiated to design, create and distribute personal care packages for children recently removed from their homes or newly placed in foster care. Did you know…? 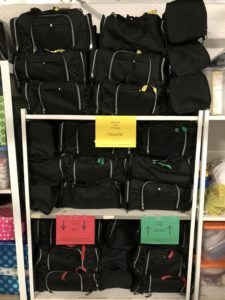 Each duffel bag, which has a detachable backpack & overnight case, is stuffed with much-needed toiletries plus items (diapers, bottles, clothes, games, books, footballs, stuffed animals, etc.) that will help kids smile during a tough transition. The children remain nameless & faceless to the JLLC but hold a special place in our hearts. 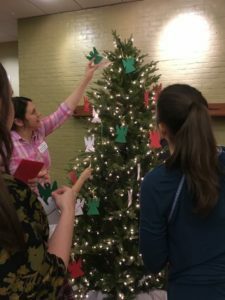 In 2017, the Community Outreach Committee created an “Angel Tree” to display at the November general meeting. The tree contained angel ornaments with a specific gift idea listed on each one that our members could choose and shop for. The gifts ranged from board games, movies, sporting equipment, journals, and household items just to name a few. 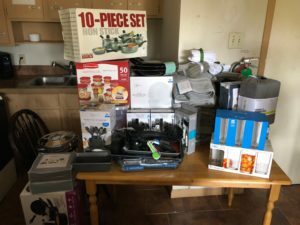 The Angel Tree donations collected from our membership totaled an amazing $4,500 and benefited foster children 12 and older in the CASA program and the youth residing at the Harbour House and TLP. This became a true family project with many of our members including their own children in the shopping experience. 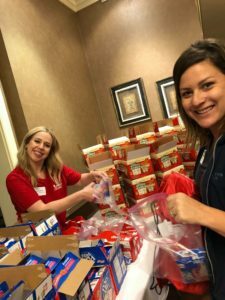 It was a wonderful way to teach the meaning of giving back during the holiday season. In our community, 1 in 4 children do not know where their next meal will come from. Many of these children depend solely on the meals they receive at school. During school holidays and breaks so many of our local children find themselves hungry. 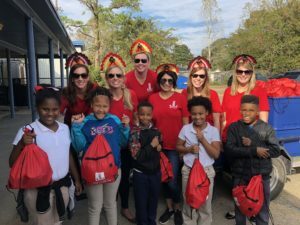 Through the generous donations of membership and our community, the Community Outreach committee was able to provide 310 Thanks & Giving Food Bags to a local Title I elementary school right before the week-long Thanksgiving break. 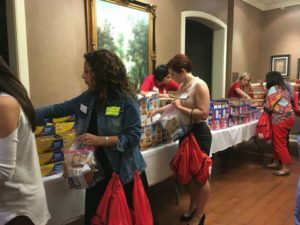 Each reusable bag contained nonperishable food items such as soup, oatmeal, grits and peanut crackers.